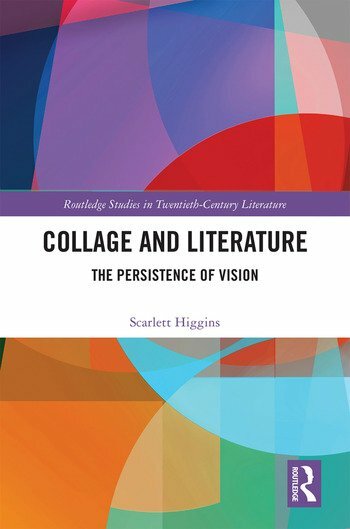 Collage and Literature analyzes how and why the history of literature and art changed irrevocably beginning in the early years of the twentieth century, and what that change has meant for late modernism and postmodernism. Starting from Pablo Picasso’s 1912 gesture, breaking the fundamental logic of representation, of pasting a piece of oilcloth onto a canvas, and moving up to Kenneth Goldsmith’s 2015 reading of an autopsy report of an unarmed young black man shot by police (which he framed as a poem entitled Michael Brown’s Body) this volume moves through a series of case studies encapsulating issues of juxtaposition and framing, the central ways identify collage. Its thesis is that collage—and, in fact, only collage—meaningfully overcomes formal and generic boundaries between the literary and the non-literary. The overwriting of these traditional boundaries happens in the service of collage’s anti-narrative drive, a drive that may be, in turn, interruptive or destructive. The expansion of collage’s horizons— broadly, to include the use of radical juxtaposition in the arts—reveals a surprisingly wide range of American artists and writers using the logic of juxtaposition as they imagine new worlds, disrupt accepted narratives about society and art, and create meaning through form as much as through paraphrasable content. In addressing a wide range of contested issues, recent artists realize the shocking force of collage. By recovering this shock, Collage and Literature restores collage to its multimedia origins in order to reveal its powerful and political affects. Scarlett Higgins received her PhD in 2005 from the University of Chicago in English Language and Literature. She is currently an Associate Professor at the University of New Mexico in the English Language and Literature Department, and Chair of the Women Studies program. She has published articles in The Langston Hughes Review, The Review of Contemporary Fiction, Arizona Quarterly, and Textual Practice, and chapters in Black Music, Black Poetry (Ashgate, 2014), Evaluation: US Poetry after 1950 (University of New Mexico Press, forthcoming), and The Critical Experience (forthcoming).